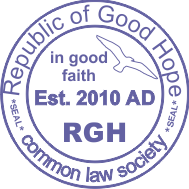 If we go back to the original declaration that the founding RGH members signed in 2010, it states quite clearly the purpose of the society which is essentially to turn our backs on any corporate government peddling a “debt based” society or usuary. We are not saying we do not want some form of civilised structure in order to organise ourselves under. We are simply going to the core of the universal problem and saying we want nothing to do with “debt money”. So our task is not to remove all forms of “control” but rather to replace it with sensible systems that are not a burden on society. As a people (and a civilised society), competent tried and tested procedures are a pre-requisite to progress. Nothing can be created or sustained on lofty dreams and the challenge to us is to do this outside of the current accepted financial system. How do we define a space that is governmentless? Do we even need a name for it? The default is no government so if a gang of thugs calling itself ‘government’ claims to have a monopoly over a space then it would have to define the state of its monopoly. Perhaps we should just be “Goodhopia” or “The Free State of Good Hope”. That ‘state’ means ‘state of being’, not state as in government. 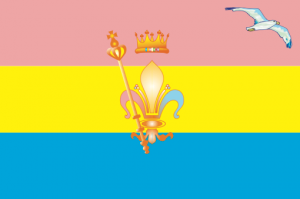 looking at san marino again, who declared the very first republic seceding from the roman empire in 300 AD, they are still running it, 6500ha and ca. 33000 people, but as it goes in history, things, terms and events get muddled or mixed up, sometime deliberately… i think running any country/republic/state larger than a few thousand is not possible, hence breakaway factions and micro-nations like RGH. the ‘R’ in RGH makes sense, although the meaning of the actual words is not clearly defined, it gives everyone an idea, a term familiar with, similar to creating documents that resemble and ID card or passport in shape and look, but contain a different lawful content. If we would call ourselves Goodhopia and issue pink passports with unicorn or purple flames, even less would take us serious, it’s walking the fine line, a slow and steady removal from the draconian system of control. as for people’s authority, all new and old RGH members will autograph the RGH declaration, draft their own declaration and autograph the concord. By doing so you have established your ow sovereign self and your own competent authority, now able to act in concord with others. It’s all about declarations. to this day i cannot find any RSA or South Africa declaration, i.e. did RSA ever declare itself independent ? the 1961 referendum was a total joke, it didn’t change anything wrt to the actual owners of the colony, it only included less than 10% of the population and its result was 49.85% to 50.15%. the ‘south africa act 1909’ and the union that followed in 1910 are all unlawful, a fraud and not to be recognized at all. In other words, if there is no proof on any lawful declaration, South Africa, RSA and RSA (Pty) ltd are no competent authority, they cannot make a judgment on anyone else and their competency, RGH does not seek recognition from RSA, it is not required. If RSA declares RGH incompetent, thus unlawful or illegal, they can take us to court or we facilitate a tribunal and we will reiterate that RSA is not in a position to make any declarations or determinations, until they answer all our simple questions presented on 4 occasions to the constitutional court.